Welcome to the Green Light Hingham! The Green Light is a nutrition and wellness company that provides the road map to optimal health by offering an unmatched experience of excellence with amazing juices, smoothies, and cleanses. 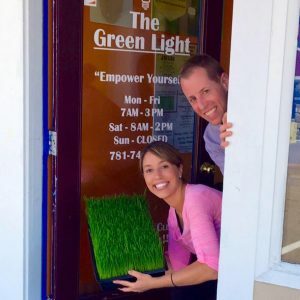 The Green Light Hingham is owned by brother and sister duo, Shawn and Sheree! Want to be the first to new about specials and other great things? Sign up for the Green Light Newsletter!